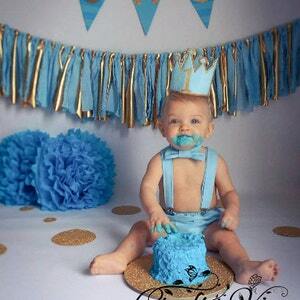 Adorable twin boy and girl cake smash outfits. 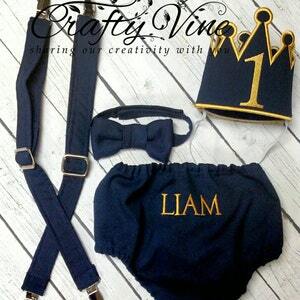 Boys set includes crown, diaper cover, suspenders, and bow tie. 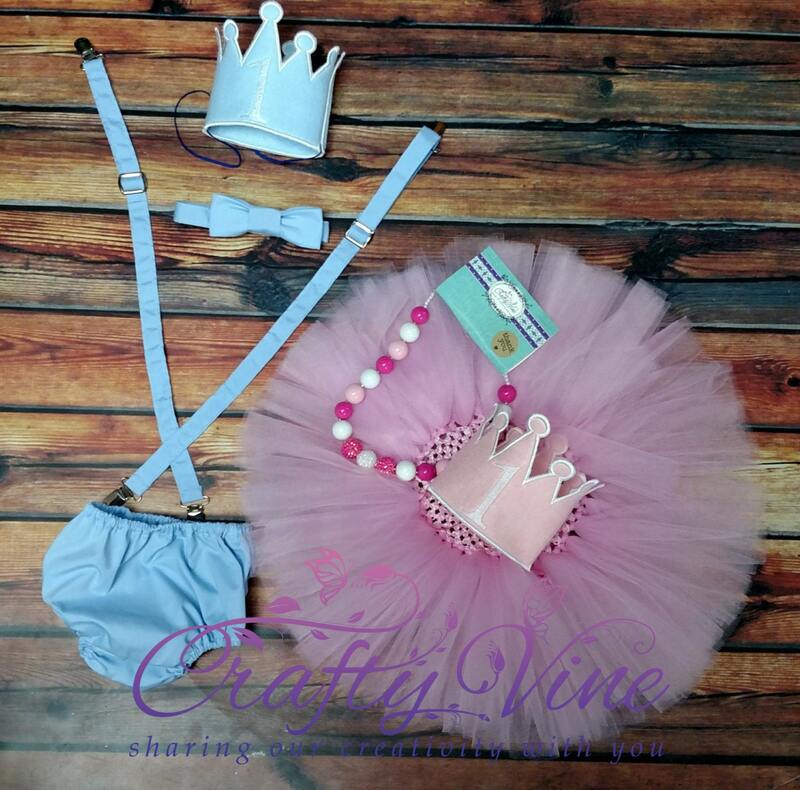 Girls set includes tutu, necklace, and crown. Keep in mind the necklace color may vary slightly from picture due to the shade of pinks varying slightly. Contact us for custom orders.